Saints Are Better “On Paper” – But Good Enough to Make the NFL Playoffs? For the New Orleans Saints, the 2017 NFL Off-Season might just go down as one of the most successful in recent team history. By all accounts, with the signing of several free agents at a variety of key positions that most notably include former 4-time All-Pro RB Adrian Peterson; and seven picks in the recently completed 2017 NFL Draft that included the #1 overall ranked cornerback in the Draft class with Ohio State's Marshon Lattimore, it's safe to say that as of this very moment --- the Saints are definitely better overall "on paper" than they have been in the past few years. However, the question will inevitably be asked: despite the success of the off-season, are the Saints improved enough to make the NFL Playoffs; after not coming anywhere near them and missing them altogether for the past 3 straight years? That much remains to be seen. One thing that is certain is that a lot of the Saints' success or failure will depend on the overall health of the team, and whether or not they will be able to avoid the slew of injuries that have affected the team's ability to play at full strength in a handful of their games in that past 3 years' time. In the NFL, each season is a "battle of attrition" -- meaning that the teams that usually end up winning the most games and going far in the Playoffs, are the same teams that were able to avoid injuries especially to those players who play key positions or serve critical roles. One of those key positions / key roles is the defensive secondary. As New Orleans Advocate Saints beat writer Nick Underhill noted in his article yesterday morning, if the Saints secondary is able to remain relatively injury-free this coming season, it could have a chain-reaction effect on other areas of the defense, specifically by allowing them to stay with opposing wide receivers long enough to allow the defensive Front 7 enough time to get to -- and hopefully sack -- the opponent's quarterback. As Underhill notes: you wouldn't have thought so, but the Saints actually ranked 3rd in the NFL in quarterback hits with 106, finishing behind Minnesota (114, fifth in sacks), Seattle (113, tied for third) and Denver (113, tied for third) while ranking 22nd in defensive snaps. The Saints only had a little more than half that number (64) the previous year in 2015. Yet despite that, the Saints finished as only 1 out of 3 teams (Cincinnati and the L.A. Rams were the others) with 100 or more quarterback hits last season that failed to record at least 40 or more sacks. The Saints finished with only 30 sacks in 2016. Underhill says that's either a simple case of pass rushers not "finishing the job", or perhaps more likely in the eyes of some: the Saints secondary -- severely depleted by injuries and missing several of their key starters last year -- did not give the pass rushers TIME to finish the job. That could be a completely different case in 2017. The secondary will not only have all of those players returning from injury, but they've added THE #1 top-rated cornerback in the entire 2017 Draft class with Ohio State's Marshon Lattimore (to play the outside boundary opposite of Delvin Breaux); and one of the most feared hard-hitting and "ball-hawking" free safeties in the class with Marcus Williams out of the University of Utah (to replace the departed Jairus Byrd). And then of course there's several other notable areas where the Saints appear to be improved as the team heads towards OTA's and Mini-Camp, before eventually getting ready for the 2017 season at Training Camp in Metairie beginning in late July. The Saints have added at least two and possibly even 3 pass rushers to their starting rotation for 2017, with the free agent signing of former Arizona Cardinals defensive end Alex Okafor, and underrated rookies Trey Hendrickson of Florida Atlantic and Al-Quadin Muhammad of the University of Miami. At linebacker, New Orleans added free-agent veterans A.J. Klein (formerly with Carolina) and Manti T'eo (formerly with the L.A. Chargers), along with rookie Alex Anzalone from the University of Florida. ALL 3 players are capable of playing either the middle / "Mike" position, or one of the two outside positions (the strongside / "Sam" or the weakside / "Will" spots). Then flipping over to the offense, no one position received more of an upgrade than the running back position. The Saints signed veteran free agent (and former 4-time All-Pro) running back Adrian Peterson and traded up in the 3rd Round to select speedy rookie “scatback” Alvin Kamara of the University of Tennessee. 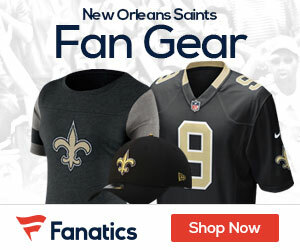 Peterson's addition will no doubt be a huge boost to the Saints "power" running game; while Kamara will give the Saints something that they've lacked in recent seasons and adds another dimension to their running game in Sean Payton’s offensive scheme: the “scatback” type of player capable of catching passes out of the backfield like former Saints RB’s Reggie Bush and Darren Sproles. On the offensive line, the Saints have added 1st Round pick Ryan Ramczyk -- the #2 rated offensive tackle in the 2017 Draft class -- to be one of the men clearing a path for Peterson and Kamara along with returning starter Mark Ingram, as well as becoming the likely 'heir apparent' to 12-year veteran Zach Strief at right tackle. The only position that may still have a "hole" in it? Wide receiver. The Saints just a few weeks ago of course, traded former 2014 top draft pick and #1 WR Brandin Cooks to the New England Patriots in exchange for the #32 overall pick in the Draft, which they eventually used to take Ramczyk. While New Orleans will still be okay at the position with new #1 WR (and last year's rookie sensation) Michael Thomas, #2 WR (and 3rd year veteran) Willie Snead, and #3 WR Brandon Coleman, the departure of Cooks leaves the Saints without a WR who can be a "deep threat" and can stretch the field vertically. The Saints didn't draft a WR, but signed a couple of undrafted free agents at the position that most notably included former LSU wide receiver Travin Dural. Dural -- a 200-meter Louisiana state champion track star in high school (Breaux Bridge High School) -- will get an opportunity to show that perhaps he can become the team's new #4 wide receiver; although he'll have to overcome a reputation as being a player who is prone to "the dropsies", and show everyone that he can cleanly catch passes from one of the League's living legends in QB Drew Brees. All in all, when you now look at the Saints' current and projected 53-man roster for 2017, and then compare it with the rosters from the past 3 consecutive losing seasons; an argument can be made that the Saints are in fact, better "on paper". But when your team has finished 7-9 for 3 straight years and has missed the NFL Playoffs every single one of those years as well, the fact that you potentially could be better "on paper" means nothing. Going out on the field and proving to everyone that you truly are better, is an entirely different story. For all 32 teams in the NFL, the ultimate goal every season is to win the Super Bowl -- which the Saints have done one time in their 51-year history (2009). However, a lesser -- but yet nearly as important -- goal and the "measuring stick" of success in Pro Football, is to make the NFL Playoffs every year. The New Orleans Saints haven't done that since the 2013 season, when they went 11-5 and earned a Wild Card Playoff berth, beating the Eagles at Philadelphia before losing to the eventual Super Bowl champions that year -- the Seahawks -- at Seattle. Since that time, New Orleans has been excluded from the post-season party; leaving Saints fans restless and the team's management and coaching staff inching towards being put on the "hot seat". You've already heard it said that this could be a "make or break" season for the Saints in 2017, and a failure to reach the Playoffs for a 4th straight year could be enough to force owner Tom Benson --- who turns age 90 in July --- to make wholesale changes to the team's front office and coaching staff, assuming he wants to win another Super Bowl before his inevitable passing on. Which means that the Saints have to show that they're even capable of winning another Super Bowl, by at least qualifying for the NFL Playoffs in 2017. Anything less, could have some extreme consequences for everyone involved. ON THE EDGE: Saints Pass Rush Not as Bad as We Think — Or is It?